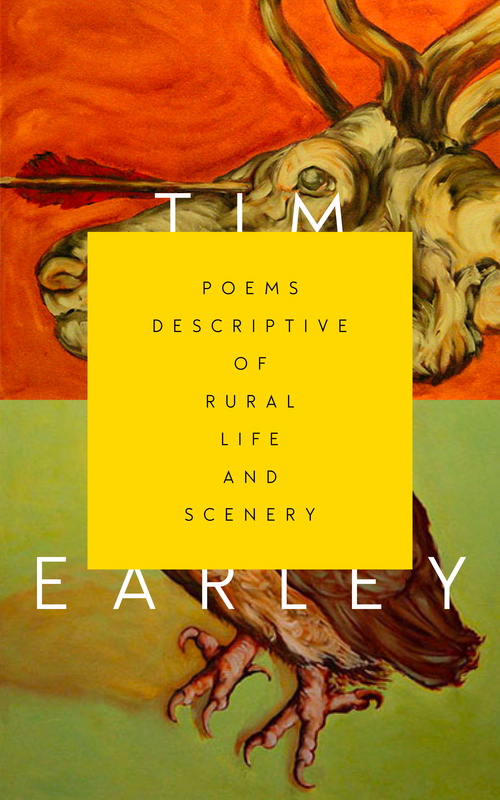 Part Henry Miller, part Rimbaud, part Whitman, part Joyce, all swirled into the “poor, rude clown” of mad John Clare resurrected and rampaging through the “post-natal slime” of the American South, Tim Earley reinvents or damn near obliterates the prose poem in Poems Descriptive of Rural Life and Scenery, a book of “abundant strangeness” and originality, a teeming cesspool of language like a “disease that overspills.” Every sentence in this book is alive and creepy-crawly with creation, belying the book’s title, because there is nothing “descriptive,” but detonating, about what these poems do to the language and the landscape. This book could only be “described” as “like when order is a disrober is a disorder is an ordinance which evades and invades itself.” What a terrifying, exhilarating ride, with death riding shotgun, that asks, “Are not our cesspools shared … are not our miseries the same?” This writer eats at his “death each day of [his] life. It feels like practice. It is [his] job.” Luckily for us he takes this difficult task on. This is a book like no other.